Forbes says precious metals have been a store of wealth through the ages. Whether it is a rare silver coin or a gold piece of jewelry, precious metals always hold value. Other investments, such as the dollar, stocks, or bonds cannot say the same thing. We have all seen stocks lose a full year’s worth of value in a single day, and flat currencies have come and gone. Yet, gold and silver despite being around for thousands of years are still used to protect assets. Investing in gold and silver has been gaining attention lately. The US Mint is having trouble keeping up with the frenzied demand for American Silver Eagle bullion coins, despite silver’s current low spot price. Some are saying the dollar isn’t worth the paper it is printed on. Considering the state of the US economy there might be some truth to this statement. Why invest in precious metals? The Federal Reserve has been pumping billions of dollars into the economy inflating the money supply, in an effort to stimulate a still weak economy. Whether it has worked or not is open for debate. How this strategy along with continued artificially low interest rates will affect the future remains unknown. According to Money Morning, while gold and silver are down they are still an important part of a balanced portfolio. Investing a small amount into precious metals can reduce the volatility and risk associated with paper investments. Plus, precious metals offer one distinct advantage over the flat dollar, metals cannot be printed at will. Precious metal investing can be an engine for growth, income, or used as a hedge. There are two options when it comes to investing in precious metals, paper and tangible. Nothing can replace physical assets, like bullion or rare coins in terms of security. The Resource Investor says volatility within the current precious metal market has shaken some investor’s to their core. Sean Rakhimov, the founder of Silver Strategies says, despite the current unstable precious market you must never forget why you invested in metals in the first place. The lower silver prices go the higher the demand is. Gold and silver are typically bought because of fear. The 2007 economic crash is still vivid in most investor’s memories. While the economy has shown some improvement and the stock market is high, many have learned that diversifying and protecting one’s assets is a good idea. Silver coin demand seems to back this premise. CNBC says, even Ben Bernanke; the Chairman of the FED doesn’t understand gold prices, which are currently down. The dollar is higher which has helped keep gold and silver down. In addition, stocks have remained consistently high. Expect stocks to have a correction which will cause the dollar to fall. This will give precious metals the mojo they need to begin trending upward again. No conversation regarding precious metal investing is complete without mentioning rare coins. This is because most rare coins were minted from gold and silver, and like bullion have worth based on their respective spot prices. High end rare coins are however not sold for their precious metal value. Instead these coins offer worth based on their supply or rareness and demand from collectors. Some rare coins are worth small fortunes in their own right and investing in this venue can be lucrative. 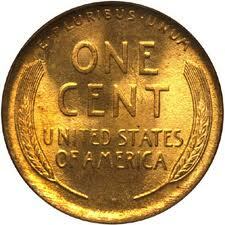 It must be mentioned, that to successfully invest in rare coins you must know rare coins and the market inside out. Many precious metal investors invest in bullion coins along with rare coins. This approach offers a sound safe haven against inflation, along with the high potential for rare coin profits.